How would you spend four days in the Kaiserwinkl? 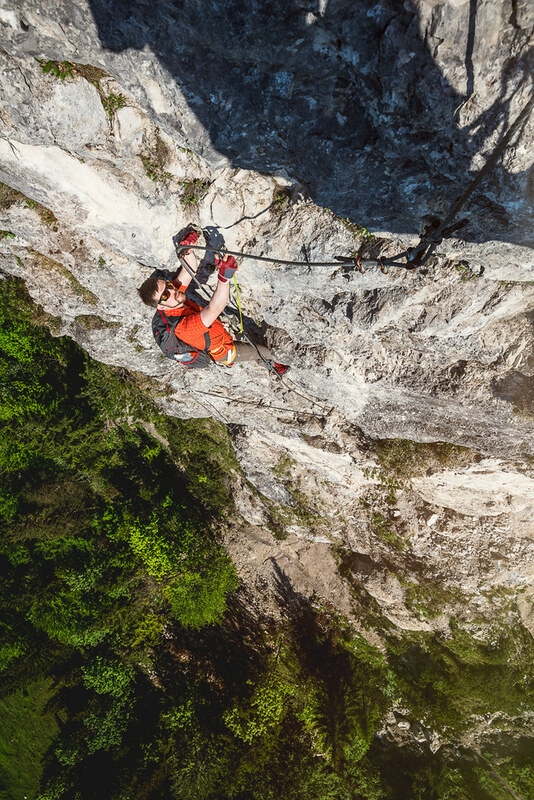 We had one objective for our visit to Kaiserwinkl: Do one of the Via Ferrata and shoot some great photos. We got that done on our first afternoon - and now had plenty of time on our hands to do other cool activities. First on our list was packrafting. Could I loan your packraft? Vincent asked me before the trip. Sure, no problem. And could you teach me some packrafting, too? Again, no problem, after all I enjoy teaching packrafting. 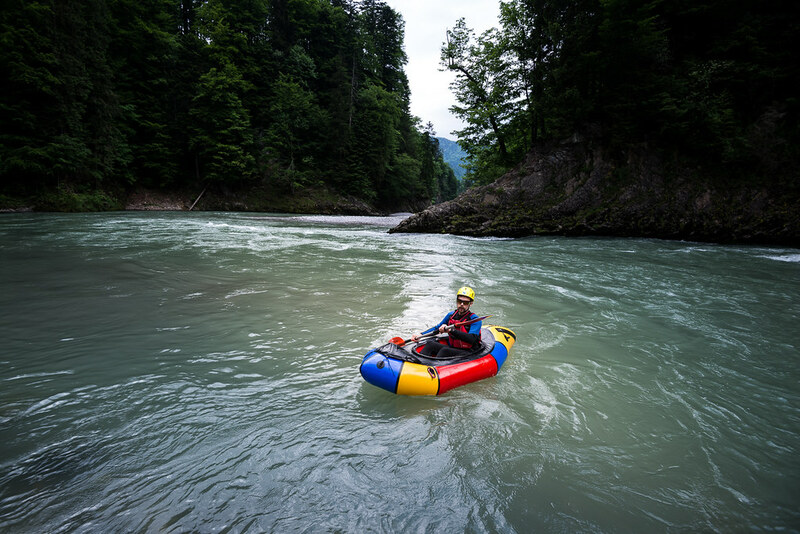 We joined Adventure Club Kaiserwinkl on one of their Adventure Rafting trips, this made transport very easy and I didn’t need to bring paddles or safety gear along. Dressed up in a neoprene suit with a vest and helmet and a paddle we set off to the entry point close to Kössen. 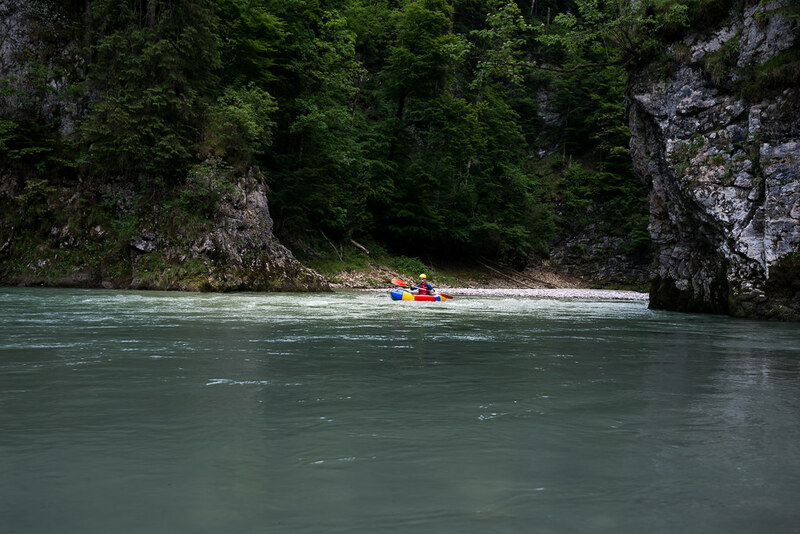 The Tiroler Ache is a beautiful river, and the ~7 km section we would packraft would run through deep canyons which have a lot of history - there were smuggler paths in the war through the forests, and a pretty castle stands high above the river. We almost didn’t need to take our neoprene suits off before the packrafting - because we were Canyoning before it! 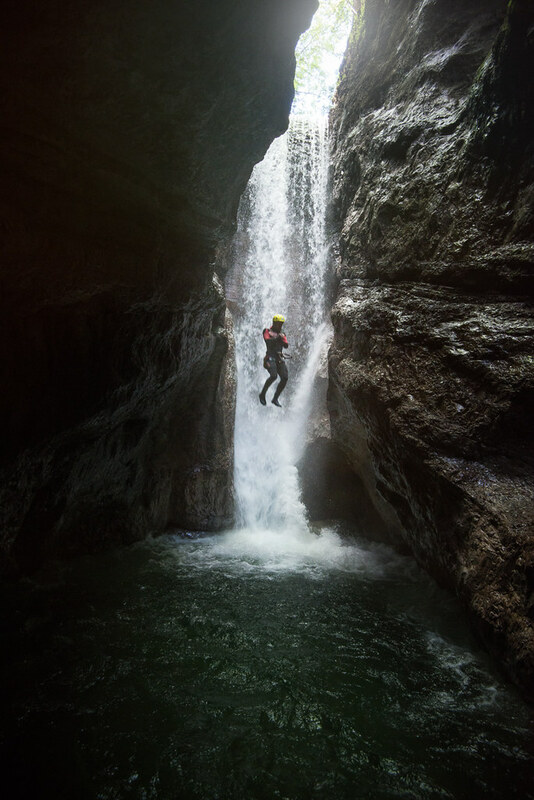 I have been canyoning once before at the Lago d’Idro in Italy and loved it. There’s just something very exciting and exhilarating when you enter a deep canyon and know the only way out is following the river down. Jumping over 10 m waterfalls into deep, cold pools sounds crazy - but is so much fun, and definitely a memorable experience. 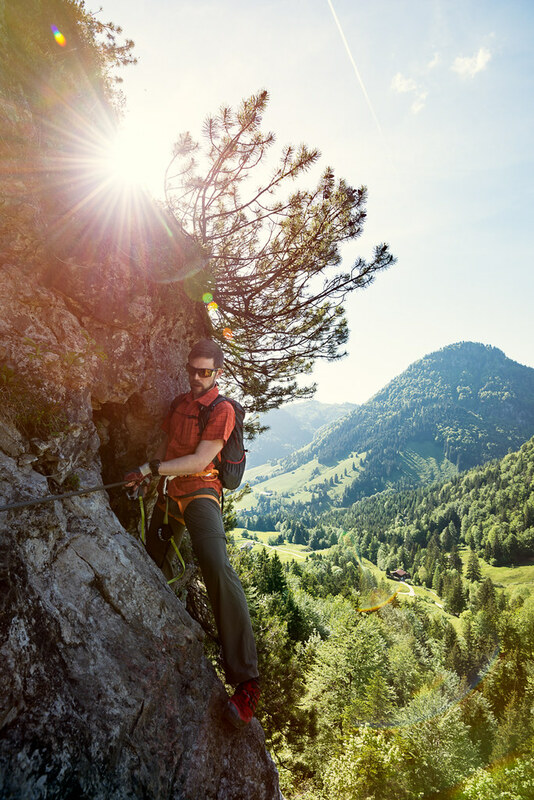 We drove to a deep canyon with Markus Dagn, our guide from Adventure Club Kaiserwinkl and after a short walk up to the canyon we started with a rappel into the canyon. After Markus pulled the rope there was just one way out: Down the canyon. We jumped into pools, rappelled down waterfalls and slid down smooth rocks that the water has formed over centuries. Far above us was the green roof of the trees and the blue sky, but around us where the dark walls which seemed to be tipping over. After a bit less than an hour and plenty of jumps into cold pools we came out of the canyon, with a big smile on our face. We high-fived each other, rolled the neoprene suits down to let the warm sun on our skin and hiked back to the car. Electrical Mountain biking. Yes, I was a bit sceptical about this activity. But I also was curious - we have been pondering getting an E-Assisted Cargobike for a while and this would be a good opportunity to see what such an Electric motor on a bike can do. Well, it can do a lot. The 940 m of ascent didn’t make me even break into a sweat, as the E-assist motor is so efficient and powerful that we were just flying up the trails to the Heuberg. 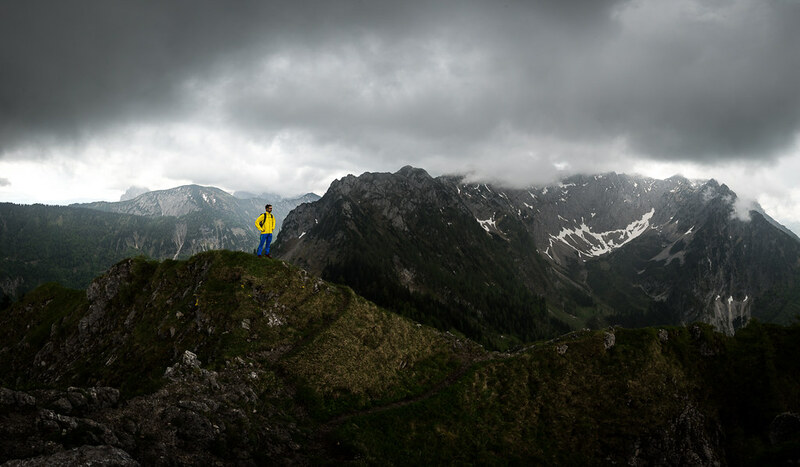 We picked the Heuberg because it is a scenic, cone-shaped peak and the views from it should be good (they are!). The ride up was fast and also involved some hike-you-e-bike and a short hike without bikes to the summit, and the ride down taught me the lesson that on the downhill it’s smart to put the e-assist off unless you want almost bomb down into the forest. But E-Mountainbikes: There’s no challenge anymore in pedaling up the hill. It doesn’t matter how steep the hill is, as long as you’re able to sit or stand on the bike the motor will pretty much drive you up. Which I enjoyed. But at the same time I wouldn’t do it again. I’d prefer to pedal up with my own power, or then push the bike. If you like it - then you’re in luck: There’s plenty of recharging stations in Kaiserwinkl and it’s part of the largest E-Bike network in the world! 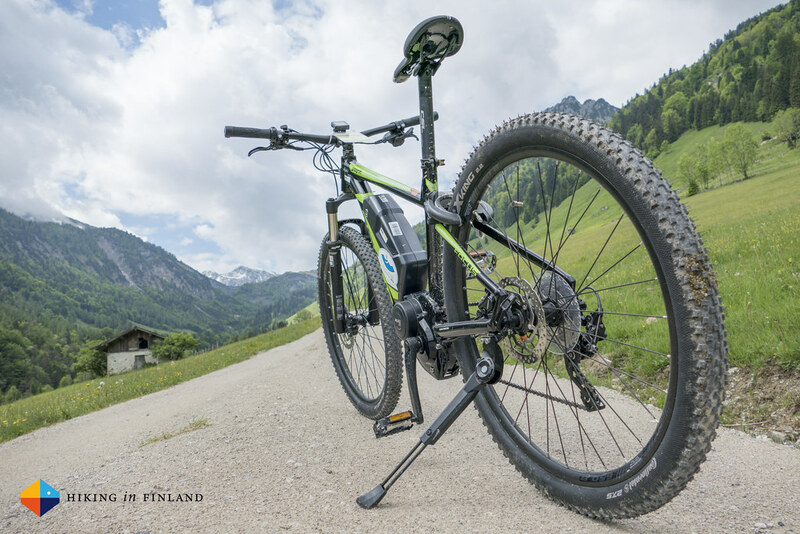 There’s ~1.000 km of cycling paths in nine different regions and 45 towns, and loaning an E-MTB is as easy as walking into the Tourist Information in Walchsee. There’s three Via Ferratas close Walchsee, one beginner VF and two in the D and D/E difficulty. 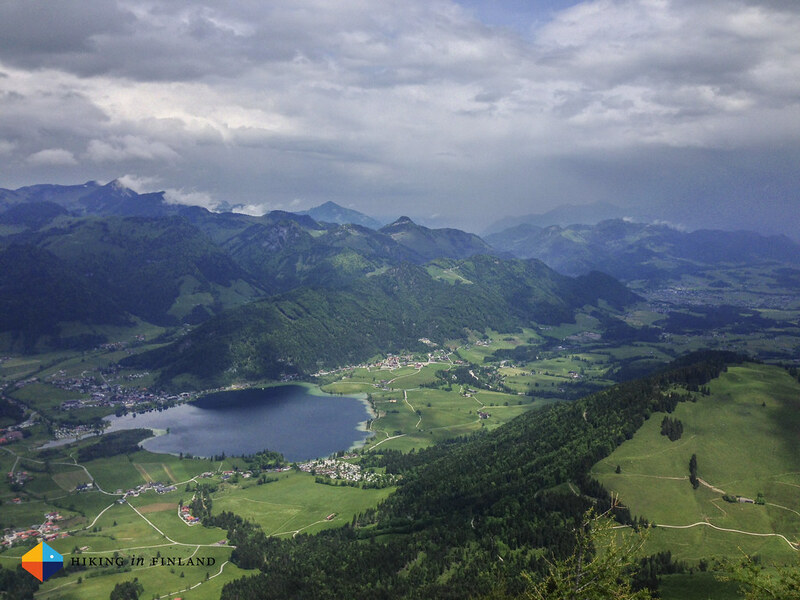 We decided to go for the Bergkameraden Steig. It’s steep at the beginning and has after the bridge some overhanging sections, but after that it gets easier and the descent is going through the nice forest and you come out directly at the Ottenalm Café, where you can grab a coffee and cake to reward yourself for the good climbing you just did! The Via Ferratas all get the afternoon sun and can get hot, so take something to drink along when you go in! This was my first visit to the Kaiserwinkl, and I enjoyed it a lot. 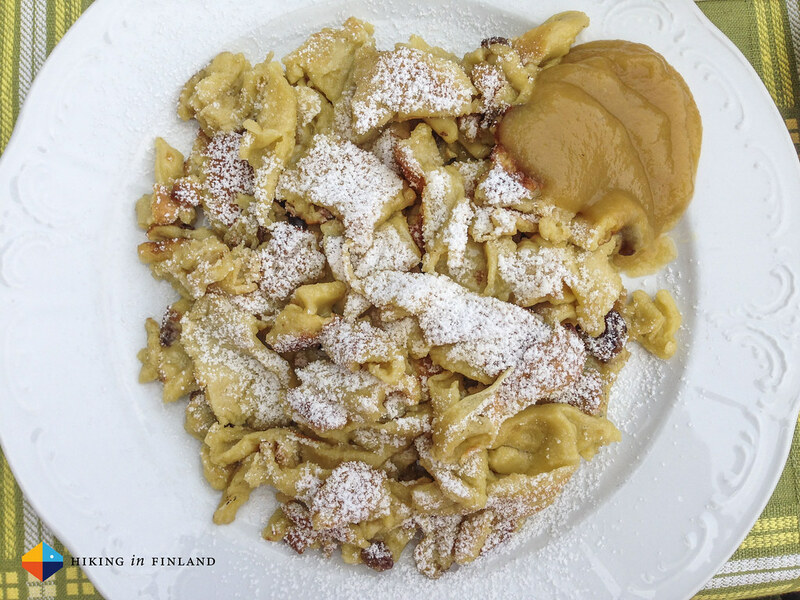 The highlights definitely were the tasty Kaiserschmarrn at the Fischerwirt, that is an absolute recommendation to go & taste when you visit Walchsee. 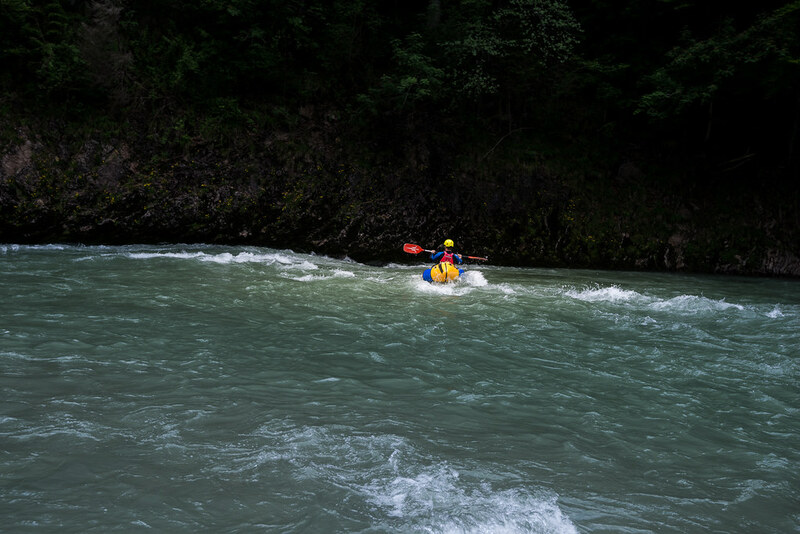 Also the activities were a lot of fun, with the packrafting and canyoning being the activities I enjoyed the most. 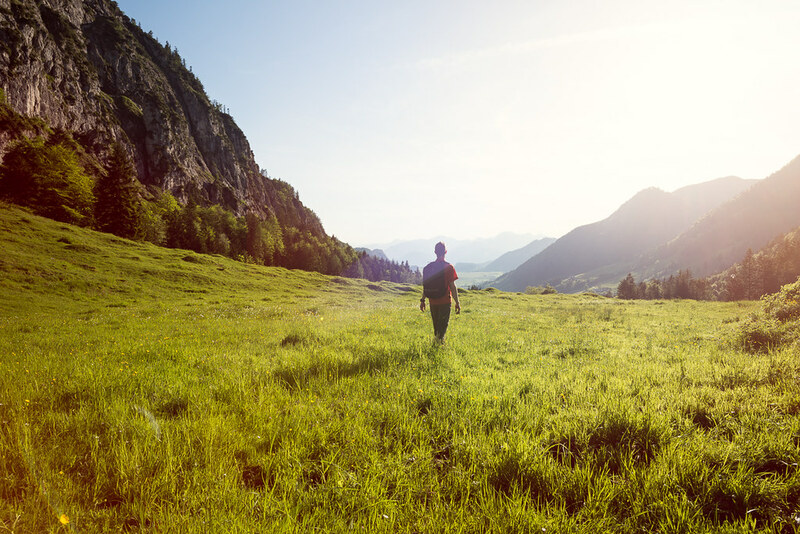 Besides these there are plenty more things you can do, from hiking & mountaineering to paragliding and swimming in the lake, Kaiserwinkl offers it all, always with the great view on the Wilder and Zahmer Kaiser mountains. 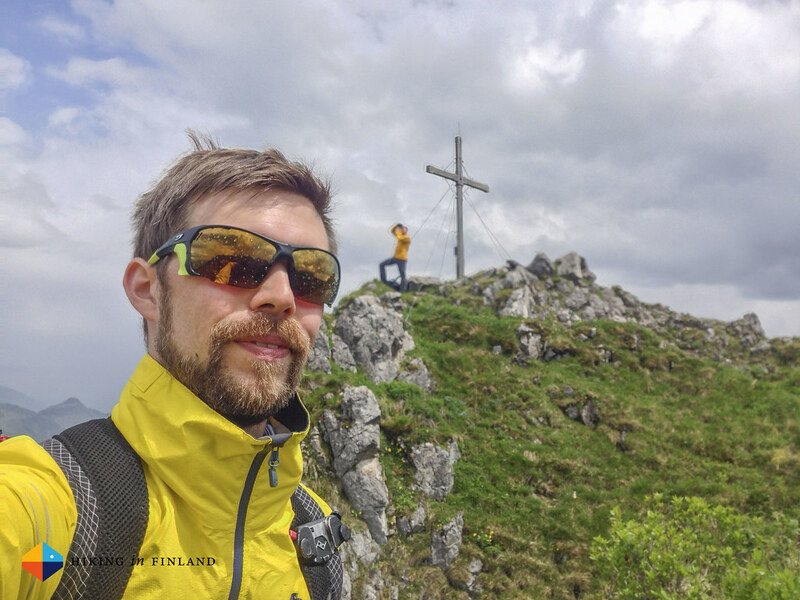 I travelled to Kaiserwinkl and Walchsee after my visit to Kronplatz, that was very easy as we just jumped of the train in Kufstein (a beautiful city, by the way) and got a ride with Taxi Kitzbichler to Walchsee. 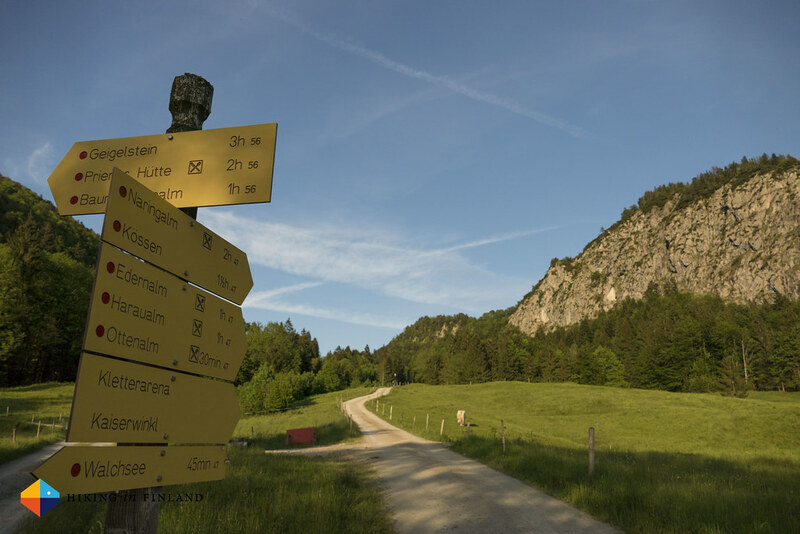 As Kaiserwinkl is a mere 130 km from the Airport in Munich it’s also possible to hire a car at the airport and drive to Walchsee yourself, though it’s easy enough to get around with public transportation or bikes. We stayed at the Ferienclub Bellevue am Walchsee, which is a rather large hotel and hence has a lot ot offer, especially if you’re going with the family: There’s a large swimming pool inside and outside, a Sauna area, lots of play grounds and a kindergarden when the parents want to relax an afternoon. You can rent bikes and they have good food. Oh, and they’re directly at the Walchsee lake, so fishermen can just jump into a boat and try their luck. Walchsee is just one of several small villages in the Kaiserwinkl. It’s small enough that you can walk everywhere, but there’s plenty of nice Cafés, Restaurant and shops that you don’t get bored. And there’s plenty of great outdoor activities available - as you saw above. 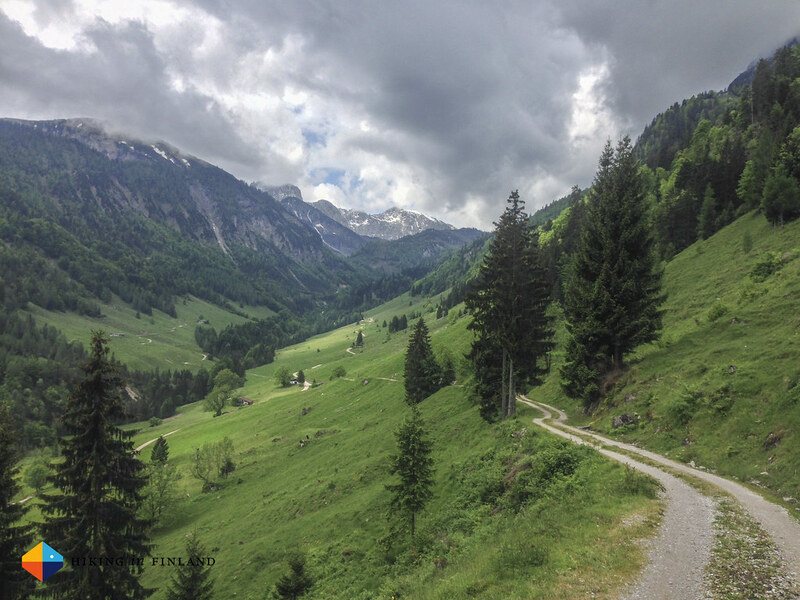 There’s more photos on Flickr in the Kaiserwinkl Album to get you in the mood for a visit to this beautiful corner of Tirol! Thanks to Kaiserwinkl and Maro and Partner for making this trip possible.